The new NGSS standards for High School LIfe Science require that students understand that cells are organized into tissues which are organized into organs, and organs are organized into systems. 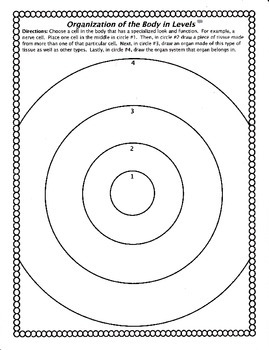 This simple worksheet will produce "not-so-simple" products from your students. It is similar to my worksheet on ecology in levels. Check it out. Examples to come!